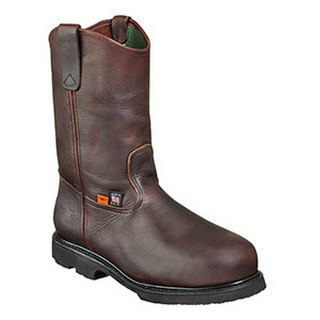 ASTM F2413-11 M I/75/C/75/Mt/75 Steel Toe, EH Rated. Tested For and Meets CAN/CSA-Z195 18,000 Volts Electrical Shock Resistance Standard. Patented I-MET2 Technology. Kevlar® Stitching on Upper. Kevlar® Goodyear Welt Stitching. Reinforce Stitch "Ball to Ball" on Outsole.